The World Finals turned out to be a little rough for Ryan, the truck had some mechanical issues and he was defeated in the early rounds of competition. But that didn't matter as Ryan had gained enough points to clinch the 2016 NHRDA Pro Street National Championship. 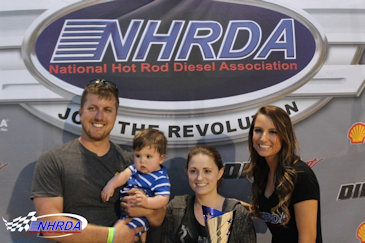 He added that accomplishment to his 2014 Pro Stock and Super Street National Championships making him the first driver in the history of the NHRDA to win 3 National Championship in 3 different classes.